This review of Nightcrawler begins Double Exposure’s belated, but therefore well-considered coverage of 2014. Throughout the next week we will be posting Years in Review from some of our former and current contributors, as well as the results of our poll. With the top films, we will also be giving some of our writers the chance to defend their personal favorites, films that made no other contributor’s Top 10. Check back for more! “If it bleeds, it leads” remarks a freelance videographer as he saunters away from filming a horrific highway accident. This casual indifference toward violence is just one of the many troubling aspects of the world of L.A. news as portrayed in Dan Gilroy’s dark thriller Nightcrawler. But the film doesn’t stop there. It also manages to be both an incredibly entertaining exercise in cinematic tension, as well as a biting satire of today’s generation of networking, LinkedIn using, self-promoting millennials. The film centers on protagonist Lou Bloom (Jake Gyllenhaal), a young, down-on-his-luck sociopath desperately in search of a career. One night, after witnessing a terrible car accident on the side of the freeway, and seeing cameramen shove their way through police to film it, something finally feels right. He buys a cheap handheld camcorder, hires a hilariously inept intern (Riz Ahmed), and starts patrolling police radios every night, looking for the perfect crime to exploit. He quickly establishes a professional relationship with KWLA 6 News, particularly its hardened news director Nina Romina (Rene Russo). Slowly but surely, as Lou works his way up the ranks of late-night TV crime journalists, known professionally as “nightcrawlers,” he grows increasingly more daring, and increasingly more involved with the crimes he sets out to capture on film. The most noteworthy aspect of the film is its compelling antihero, a wide-eyed, career-focused maniac played exceptionally by Jake Gyllenhaal. Lou is ruthless, manipulative, and violent, but also polite, articulate, and charming. He thinks and speaks exclusively in the cold, precise, and unfeeling language of business and professionalism (always with respect to deals, sales, internship programs, company promotion, etc. ), even when discussing matters of friendship or companionship. Not since Christian Bale’s iconic portrayal of charismatic psychopath Patrick Bateman in American Psycho has an actor played such a disturbing, fascinating character with such an exhilarated, deranged energy. It is precisely this unstable, unpredictable character at the film’s center that makes it such a wildly intense thriller. 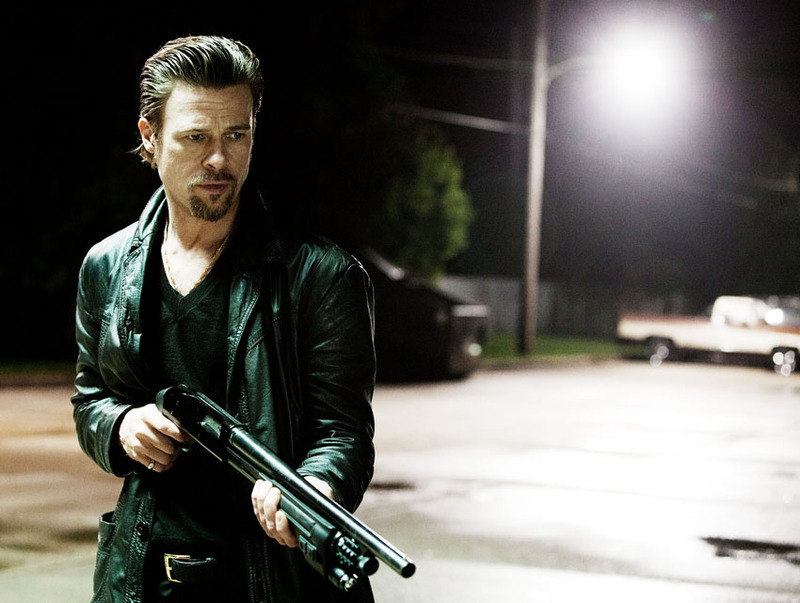 As Bloom’s business grows and he becomes more confident, he also grows more comfortable crossing ethical and legal boundaries to further his brand, even going so far as to alter live crime scenes in order to get a more attractive shot (which he later refers to nonchalantly as “working on his framing”). To add to this mounting tension, a majority of the film takes place in the unsettling darkness of the dead of night, with characters lit only by the dingy oranges of street lamps and the fluorescent whites of store-signs. 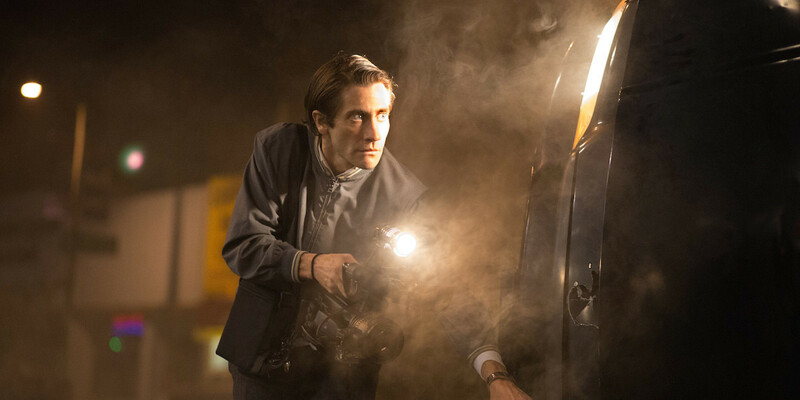 Where Nightcrawler excels, however, is not necessarily in its satire of the TV News industry, but more broadly in its satire of Lou Bloom’s generation; of ruthless, career-minded young adults who are willing to operate outside of any ethical framework to further themselves. Every appalling decision that Bloom makes is in service to his company: he gathers funds for an initial investment (by stealing a stranger’s bike), deals with competing nightcrawlers (by eliminating them), and markets his brand (through blackmail and manipulation). The only thing that matters to this character is his business, and he will crush anybody, friend or foe, who stands in the way of his company’s growth. And what is his punishment at the end of the film? He expands his company, adds another van to his fleet, and begins spreading his “work ethic” to other hopeful young adults. So Nightcrawler contains all of the best qualities of a taut, original thriller, a masterful performance from star Jake Gyllenhaal, and credible perspective on both the increasingly violent TV news industry and Generations X and Y. And yet, despite the film’s dark subject matter and cynical outlook, it still manages to find some black comedy in the midst of the violence, and amazingly enough, it works flawlessly. What better career option, the film suggests, for an unfeeling, morally bankrupt sociopath than television news? Written by: Brad Koberg on January 22, 2015. Last revised by: Double Exposure, our reviewer, on February 17, 2015.